Leuka was founded in 1982 by one of the late Professor John Goldman patients, Lester Cazin, whose dying wish was to find a cure for leukaemia by funding research. Professor Goldman, Leuka's founding chairman, was a pioneer in bone marrow transplantation for Chronic Myeloid Leukaemia (CML) who wanted to see the latest research breakthroughs brought from bench to bedside as quickly as possible. Today, we continue in his footsteps and we lead the way in curing leukaemia and turning scientific advances into clinical care for over 30 years. Professor John Goldman was a towering figure in haematology, who developed ground-breaking effective treatments for patients with leukaemia. His therapies transformed the outcome of hundreds of thousands of patients with blood cancers across the world. Indeed, he was pivotal in one of the great triumphs of modern cancer research – the use of a molecular targeted drug for the treatment of Chronic Myeloid Leukaemia. This drug transformed it from a typically fatal diagnosis to a manageable condition. 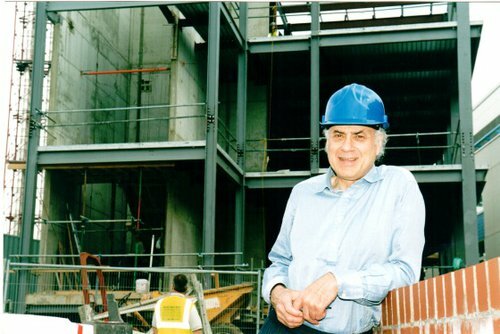 In 1998, with the help from the Lord Mayor of London’s capital appeal, Leuka funded the building of a £10 million flagship facility for leukaemia research and treatment. 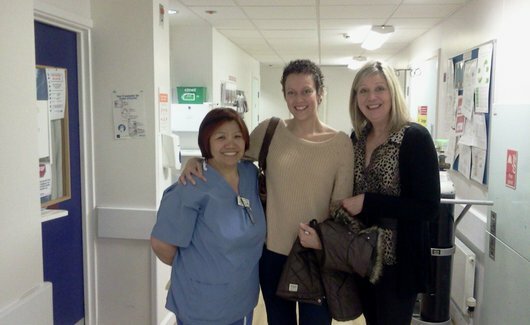 The Catherine Lewis Centre was named in recognition of Catherine, a former patient of Professor Goldman, until her untimely death from leukaemia. Catherine’s father, David Lewis, is a trustee of Leuka. Excellent facilities must have world-class researchers, and as a charity we are committed to nurturing the next generation of clinical and scientific talent. In 2015 we introduced The John Goldman Fellowships for Future Science, funding the most exceptional scientists nationally, and bringing the most promising research to fruition. We continue to look forward and use our resources judiciously in our aim of finding a cure for leukaemia and other blood cancers. In 2016 we became founding partners of the IMPACT partnership, a major new UK clinical trials platform for stem cell transplantation. Leuka has invested £1 million into the project alongside charity partners Anthony Nolan and NHS BT. While match rates for potential stem cell donors have increased, more than 50% of patients who undergo a transplant either suffer complications or, sadly, die. This clinical trials project aims to have a clearer understanding of the causes of transplant failure, and we are proud to be part of this vital research. A monthly donation of just £5 could provide vital equipment to our researchers as they work to find treatments for leukaemia and other blood cancers. Leuka has granted £0.5 million in five awards of £100k each to a group of emerging scientists. Discover the impact we've been making to translate research into treatments for leukaemia.